I had the idea of trying to capture the warm light from a window on a grey day. I thought it would also capture the warmth of the inside versus the cold outdoors. I tried just before dusk and then again just after sunset but before full dark. 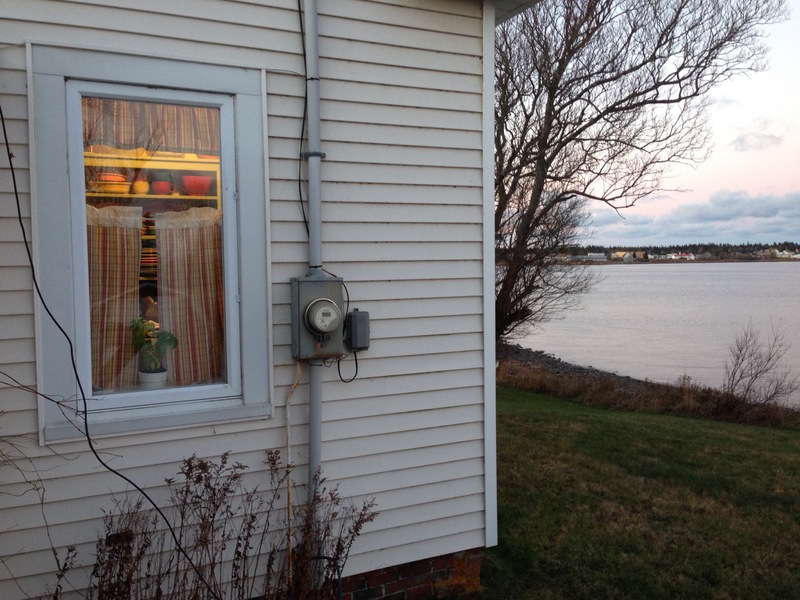 The first photo captures the warmth, both inside and outside. However, I like the second picture the best! The one before dark seems to speak warmth more to me. I like the before dusk one best too. Great shots. 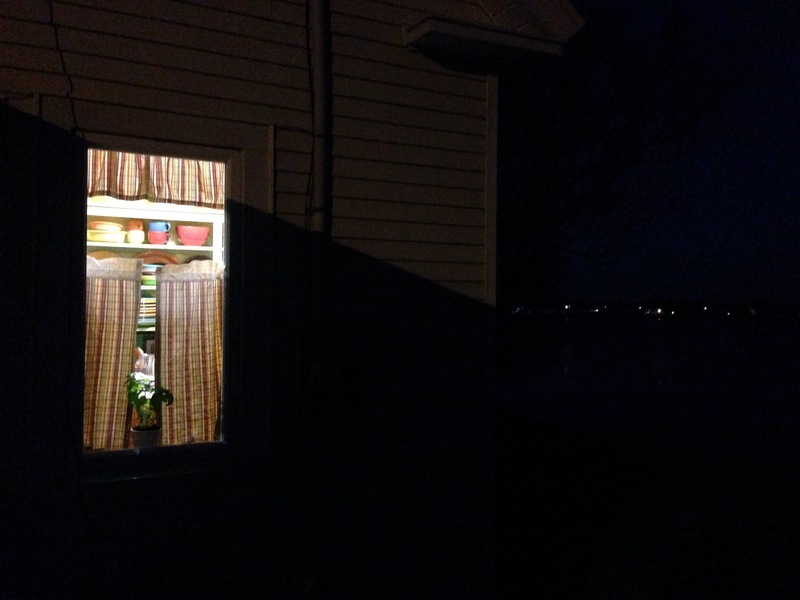 I actually preferred the one just after sunset: the bright dishes and curtains in the warm kitchen made such an appealing contrast against the dark sky. What a clever idea! I like the after dark one, but I wouldn’t have liked it as much if I hadn’t had the before dark one to contrast it with. I’ve been wanting to try taking a photo of the same place but different times of the day too. I really like how yours turned out. I thing the second one seems to show warmth the best to me, the warmth of home in a dark night. I like the dark one as it resonates warmth to me, fircthec same reasons stated above. I like the lights in the distance too. Good idea!